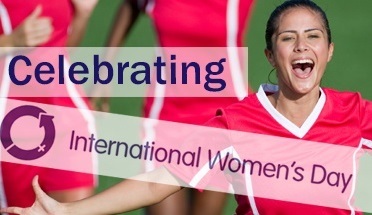 Last Sunday was International Women’s Day, and I was really excited to see how many sporting organisations and companies were promoting the day and promoting women’s involvement in sport – from celebrating Olympic achievements down to encouraging everyday women to get more active. The cycle flows into the grass-roots through a lack of female role models and funding for women’s sports. On top of this, women and girls are put off sport and fitness by a multitude of cultural factors. The top one in my experience is they feel self-conscious about being seen exercising, or even saying ‘I’m going to exercise’. I’ve lost count of the number of clients and friends who say they’d like to do more sports or go to the gym but they feel too self-conscious and worry that people will laugh at them because they ‘can’t do the exercise’s or look ‘too fat to be in a gym/ wearing sports clothes’. On top of this, even these day, women still generally spend more time on child care and housework so have less time, are under social pressure to look ‘femine’ (translating into must look great in lycra but not sweaty, muscly, competitive etc) and tend to be more worried about going out to run alone because of fears over personal safety. I’m not saying any of this is unique to women, or affects all women, but it’s certainly a big issue, and contributes to the depressing state of affairs where British women are now the most obese in Europe. Worryingly this pressure is just as acute, or more so, for young girls – just over one in ten girls at age 14 currently meet the official guidelines for physical activity, half the number of boys at the same age – meaning we have a whole generation of girls growing up without all the benefits that exercise can bring, from health and fitness, through to team building and leadership. The good news is that things seem to be changing, there’s more recognition of the need for equality at the top-level. There’s still a long way to go but there’s some symbolically important advances – the Boat Race this year will include a women’s race, last year’s Tour de France included a gesture towards a women’s race. And Sport England’s inspiring new #ThisGirlCan campaign has been getting great coverage, including local #ThisGirlCan events being organised across the country for International Women’s Day. If you haven’t already seen the videos at www.thisgirlcan.co.uk take a look now and share them. I am passionate about breaking down the fears and barriers for women in sport and fitness, whether that’s around going for a run in the park, the dreaded shopping trip to buy gym clothes, daring to break free from the cardio machines and go into the weights area, or deciding to go for it in a male dominated sport (despite relative equality in my sport – triathlon – where at the men and women race the same courses and distances and receive the same prize money on the top-level professional circuit, women’s participation throughout is only 26%). 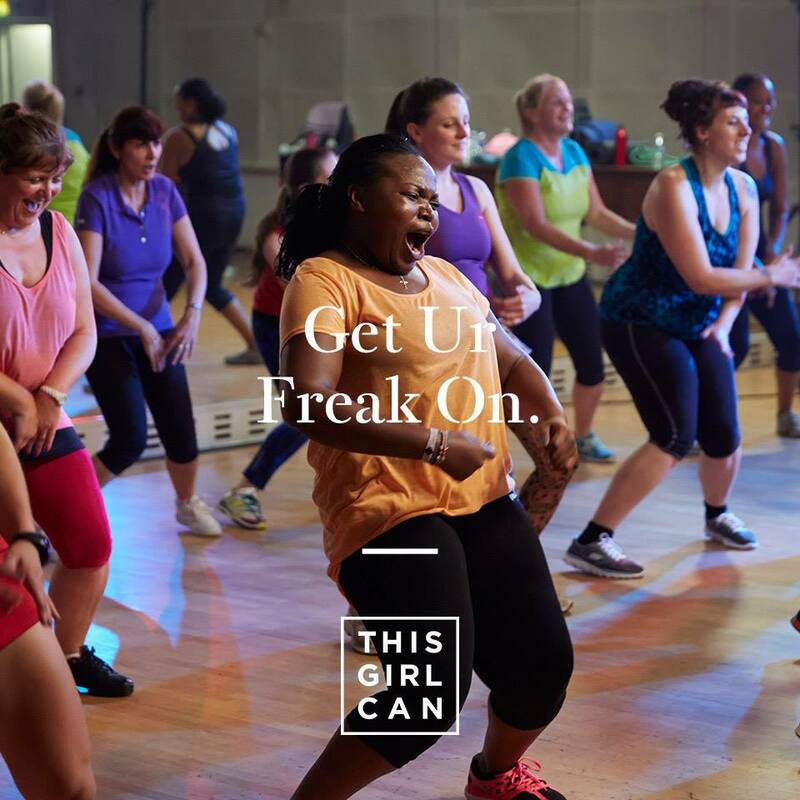 So if you’re a woman with fears or doubts around sport and fitness, make a promise to yourself today to take on a fitness challenge, however small, that you’ll work up to this year and show the world #ThisGirlCan. Please do post your challenges below. If you’re a man, think about how you can support the women in your life to take on their own challenges. As a special International Women’s Day present, I’ve put together a 60 minute bike workout full of inspirational songs by and about women. If you’re feeling in any doubt about your #ThisGirlCan challenge put on a blast of ‘I am Woman’ from the workout and sing along ‘I can do anything, I am strong, I am invincible, I am woman’. This entry was posted in cycling, health, running, Triathlon, Uncategorized, weight loss, women in sport and tagged #ThisGirlCan, cycling, cycling sponsorship, feel fit, first triathlon, fitness, get fit, health, lose weight, Marianne Vos, positive thinking, running, Triathlon, weight loss, women in sport. Bookmark the permalink.